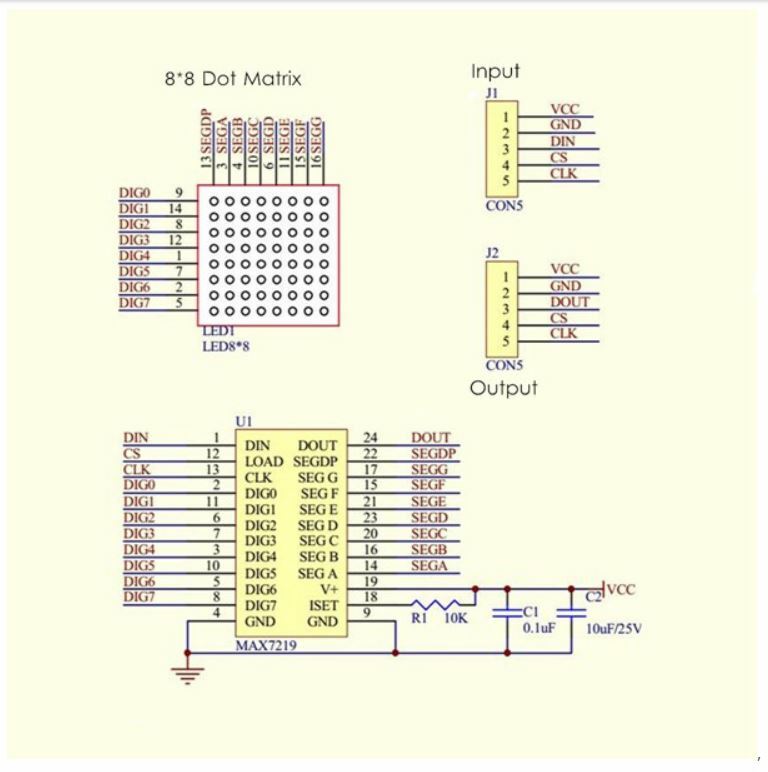 MAX7219 is an integrated serial input / output common-cathode display driver, which is connected to the microprocessor. 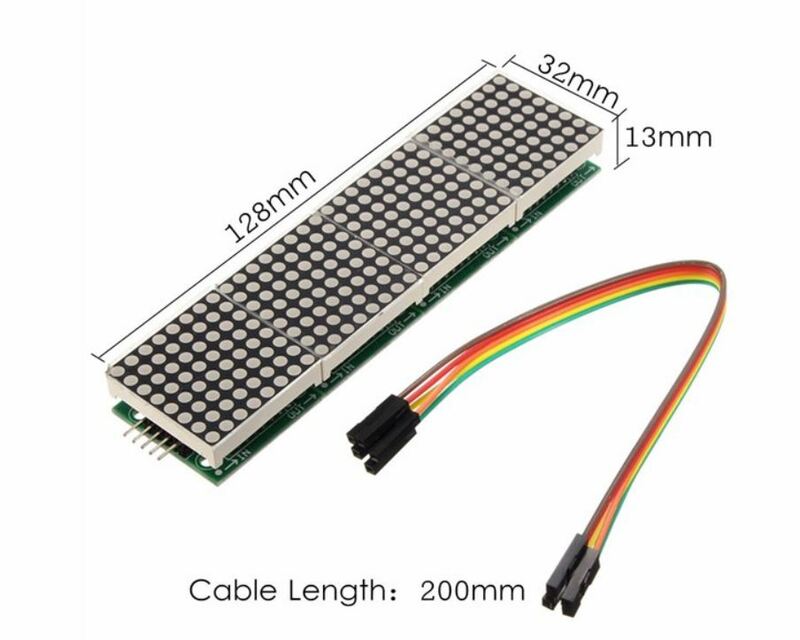 8 digit 7 -segment digital LED display, may be connected to a bar graph display, or 64 separate LED. It includes an on-chip B -type BCD encoder, multi-channel scan loop, segment word driver, and an 8*8 static RAM to store each data. Only one external register is used to set the segment current of each LED. A convenient four-wire serial interface can be connected to all common microprocessors. Each data can be addressed without any need to overwrite all displays when updating. The MAX7219 also allows the user to choose whether to encode or not encode each data. A single module can drive an 8*8 common cathode matrix. Module size: length 12.8 cm X width 3.2 cm X height 1.3 cm. With 64 fixing screw holes, aperture 3mm. Module with input and output interface, support multiple module cascade.